When you’ re a kid, having fun is our job. we do our best to make sure our young guests have the holiday of their lifetime too. Children holiday dreams come true! Amazing Grecoland, paddling pools, water slides, endless sandy beach with shallow waters, open-air playgrounds, watersports and horse riding are available for the little ones. A multi-activity camp is operating for our younger guests during high season. 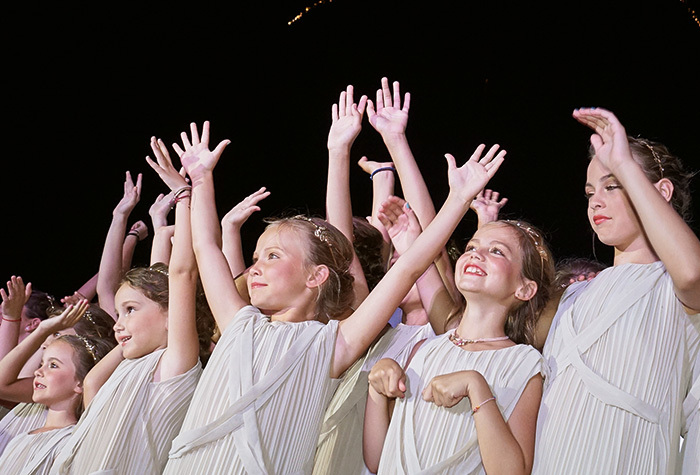 Τhe Grecoland Club was created entirely with children in mind. Brightly coloured benches and tables, costumes, crafts, activities and competitions create a magical holiday experience. Pools, playground and endless fun make dreams come true! Children under 4 are welcome to use the Grecoland facilities but must be supervised always by a parent or guardian. From morning to night, there is plenty to keep teens occupied. From beach volleyball, basketball, beach soccer, football, tournaments, hip hop dancing, Greek dancing, safe internet surfing, parties and more.